Cultivating your lawn takes much time and effort. The health of your trees	and lawn enhance the overall appearance of your home and increase its	value. Do not let obnoxious bug infestation or plant diseases come in	and take that all away! 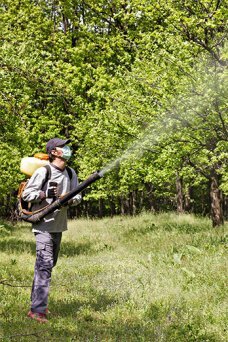 When you hire our skilled workers at	Earl’s Pest Control, you can protect your plants and trees before the next infestation spreads disease. Click here to see our State Argriculture License. If you are seeking lasting results and amazing service, all at an affordable	price, you can trust our skilled technicians and proven methods. Schedule	an appointment to receive valuable advice regarding which type of treatment	is right for you. For premier tree pest control service in Santa Clara	County, San Mateo County, Alameda County, or Santa Cruz County,	call our office today at (408) 286-2497 or (800) 310-2900.